OUR KIDS 5 – 7 PROGRAM IS ESTABLISHED IN ORDER TO MAKE STUDENTS TO BUILD GOOD KNOWLEDGE OF BRAZILIAN JIU JITSU AND THE WAY OF LIFESTYLE. IT WILL HELP KIDS TO DEVELOP GOOD COORDINATION, SUSTAINABILITY AND SELF-DISCIPLINE. 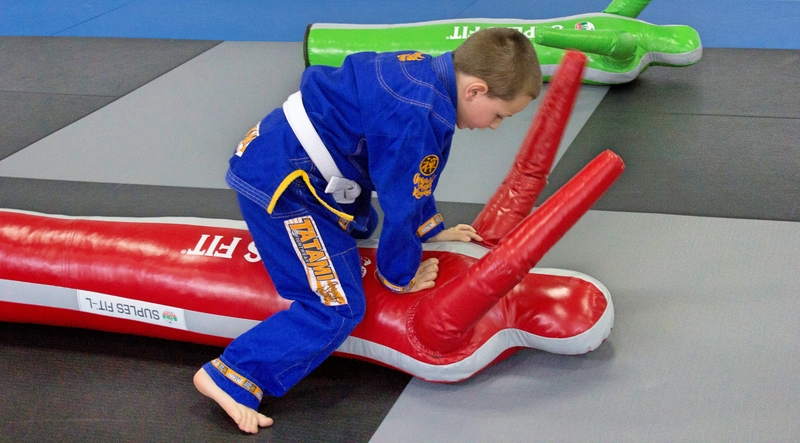 THROUGH VARIOUS FUN GAMES AND DRILLS THE CHILDREN LEARN MAJOR AND MOST ADVANCED TECHNIQUES IN THE JIU JITSU. INSTRUCTORS START THE BUILDING OF MAJOR VALUES THAT HELP THE STUDENTS TO DEVELOP AS PERSONS AS IN THE DOJO, EVEN OUT OF IT.